Sperry Top-Sider has released some colorful boat shoes in the past, but when partnering up with retailer Jeffrey, expect to see something trendsetting. The newest collaboration involves some wild colors and materials. 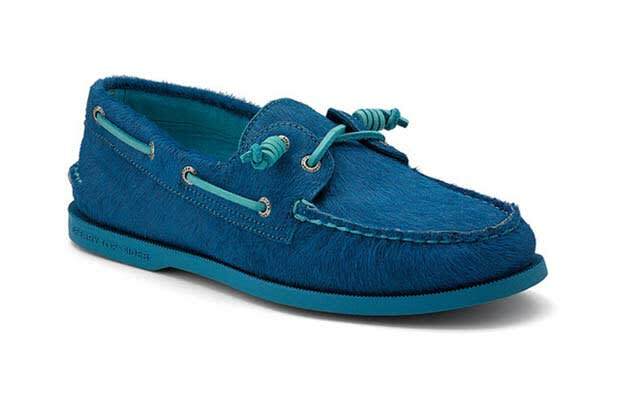 The main highlights are a selection of shoes involving premium pony hair, which is new for the boat shoe brand. These summer staples have grown a coat of hair in all sorts of colors from camo to pink that will let other people know on the street that you might own a mega yacht docked somewhere in the Hamptons. Visit the Sperry Top-Sider website and pony up $150 and these shoes are yours.